A new 3 year course Advance Diploma in Culinary Arts from HTMi. Switzerland was launched in the Academic Year 2016 – 17. We started with a small batch of 10 dedicated students who were from the very beginning focused on a career in Culinary discipline. 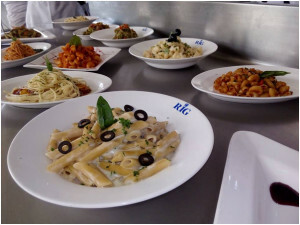 The course has been very carefully designed to ensure the high culinary standards of HTMi, Switzerland. 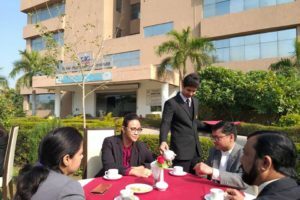 The salient feature of the course is strong emphasis on Hands-on training within the Institute as well as in the industry. 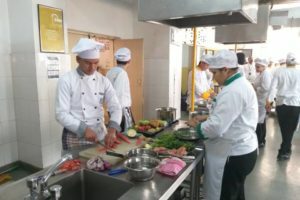 A number of Internships at reputed Catering outlets in Hotels have been incorporated in the course to ensure the skill enhancement. 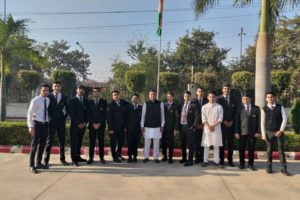 After finishing their Semester 2 the students will be going for their first Internship during May, June and July, 2017 in the kitchens of Hyatt Regency, International Habitat Center, Crowne Plaza and ITC Maurya.